Planning their wedding at High Hope horse farm is trouble enough for teaching fellow Sarah Deane and her fiancé Dr. Alex McKenzie. 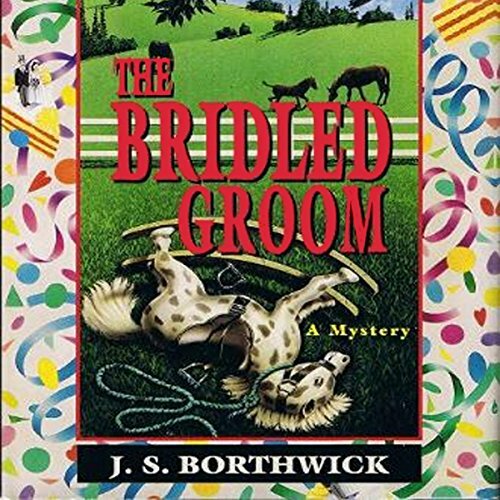 But now Sarah's widowed Aunt Julia, the farm's crusty, independent owner, is receiving threatening nursery rhymes with her morning paper; a stableman's been mysteriously injured; and someone's taking pot shots at the barn. Could the disturbing events have to do with a mining company that's out to lasso local land? Or with Tilly, a loopy neighbor who thinks it's in her stars to swap farms with Julia? Or even Julia's persistent suitor, Colonel Dodge, who's all too eager to saddle up and charge to her rescue? Though the wedding goes off without a hitch, Sarah and Alex are reined in from their honeymoon when the stable turns up a gruesome corpse...and it doesn't take more than horse sense to recognize foul play. ©1994 J.S. Borthwick (P)2012 Audible, Inc.